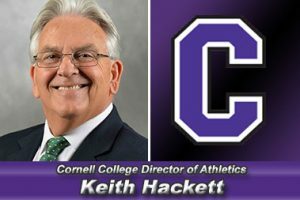 Keith Hackett, Director of Athletics at Cornell College, visits the 1.Question Podcast. Hackett talks about leading while facing budget cuts, specifically the difficulty of cutting sports. Key insight is that no matter the size of the budget, making responsible and tough financial decisions is one of the key responsibilities of anyone in the chair.